A few months ago I wrote an article about the Konami code on 8-Bit Revolution which surprisingly is become an Internet trend / meme. 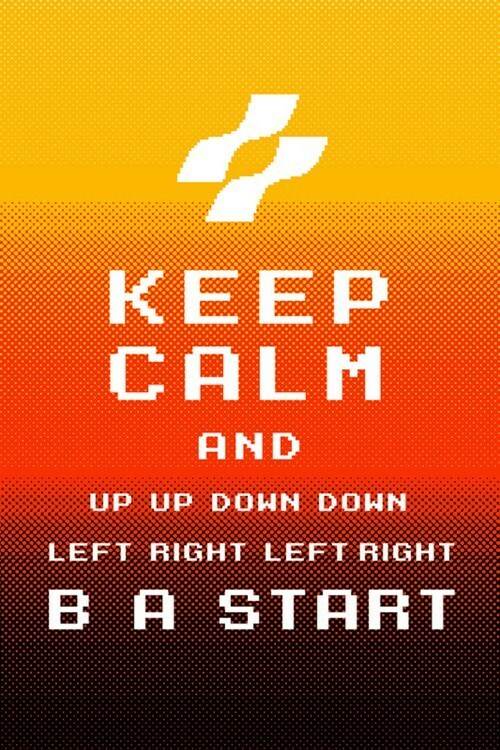 If you don’t know what is the Konami Code, well, I’ll give you the light version. The sequence of keys on the image above is the Konami Code, and is probably the most popular video game cheat code of all times. Most games from Konami have almost always a cheat or a small easter egg triggered by this code, but the most interesting is the number of publishers besides Konami that still today include this code in their games, as a “nod”, a small tribute to the Konami Code. The Konami Code was created by Kazuhisa Hashimoto, the developer responsible for the port of Konami’s Gradius for the NES in 1986. After finding the game very difficult to play during the tests, he created a code that allowed the player to have all power-ups that would normally be acquired during the game. When the final version of Gradius was released on the market, the code was included by mistake. The code would only become famous in Contra for the NES. The difficulty of Contra was too high but with this code the player could have 30 extra lives and playing the game became a possible mission. Even today, all iterations Gradius react to the Konami Code, each in its own way. For example, Gradius III destroys the ship when you load the code.